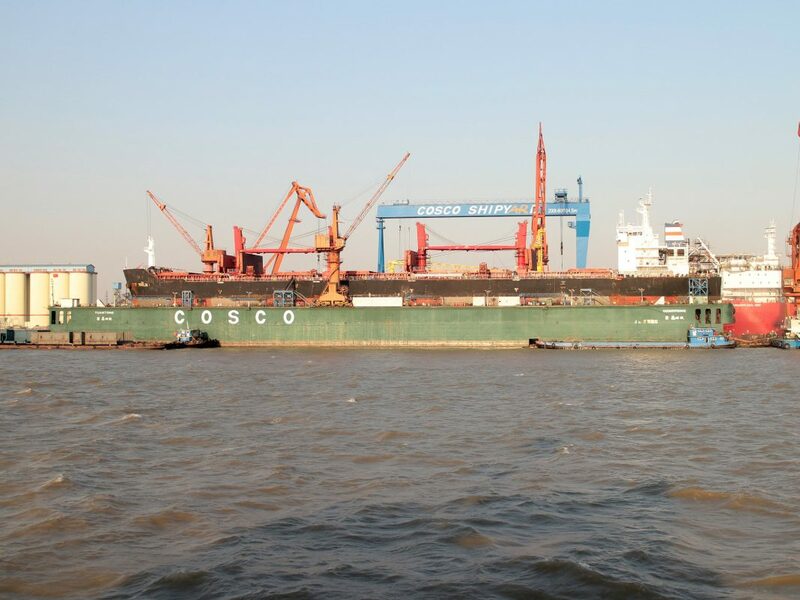 COSCO's investment in the Greek port of Piraeus is a flagship project under the Belt and Road Initiative. There’s a common saying in Greek, exo pame kala – “we are doing well abroad”. The phrase is attributed to a former prime minister and president of Greece, Constantinos Karamanlis (1907-1998), and is used nowadays to imply that government foreign policies are easier to sell to the public than domestic issues. Exo pame kala may well apply to the current government of Greece, which joined 16+1 at the Dubrovnik summit last week. What can Greece expect from its newly acquired 17+1 membership status? Further Chinese investment, beyond COSCO’s flagship project in the port of Piraeus and State Grid’s 24% stake in the independent power transmission operator (IPTO), known by its Greek acronym ADMIE? PwC, a renowned consultancy, estimates that the Greek economy faces a huge investment gap in the range of €155bn over the 2017-2022 period. But Chinese investment promoted through 16+1 to date has been modest at best and there are clear signs of disenchantment in some of the Central and Eastern European (CEE) countries. In fact, there are growing concerns that this platform is more of a vehicle for the promotion of Chinese influence rather than a generator of economic development in the region. Can Greece rely on Chinese loans then? Not very likely, given that Greece is saddled with an exorbitant public debt, to the tune of 178% of the country’s GDP at the end of 2017. Greece has the second worst debt-to-GDP ratio in the world, after Japan’s 238%. Despite its exit from the third bailout programme in August 2018, Greece is still being watched very closely by uneasy European creditors. Therefore, seeking credit from Chinese policy banks will set off the alarm bells. So, what was the rationale behind the decision of the Greek government to join the Sino-CEE grouping? Conventional wisdom has it that there is nothing wrong with heads of state meeting, chatting and thrashing out co-operation plans. A more cynical reading into 16+1 annual summits is that they are ideal for handshakes and photo ops with the Chinese premier and televised statements, which CEE prime ministers can then sell back home. Alexis Tsipras is no exception. With general elections in the country a few months away, the Greek prime minister saw the Dubrovnik gathering as an opportunity to score yet another political point abroad, after the Athens-Skopje deal. According to most opinion polls, his radical left Syriza coalition is trailing behind the main opposition party New Democracy and Tsipras badly needs to show his followers that he’s accepted as a leader on the international scene. It is true that the decision for accession to 16+1 wasn’t made on the spur of the moment. The Greek prime minister announced his intention as early as last June at a press conference in Brussels, a week before the Sofia summit (6-7 July 2018). His plan didn’t materialise back then, for two reasons. First, the official position of the Tsipras government until recently was that, as long as Athens and Skopje disagreed over North Macedonia’s name, Greece could not join the 16+1 grouping. Now that the dispute has been settled on the basis of the so-called Prespa agreement, a major stumbling block is out of the way. Second, Brussels and other western European capitals have not concealed their irritation at the Sino-CEE platform, which they view as a threat to EU unity. Last year Beijing didn’t want to annoy the EU and Germany too much – notably, Li Keqiang flew from Sofia to Berlin for a meeting with Angela Merkel. So, doesn’t 17+1 antagonise those capitals, three days after the 9 April EU-China summit? It does, but then Beijing’s perspective certainly differs from the EU’s. Because, interestingly, exo pame kala may apply to China as well. Facing a growth rate slowdown, a painful shift to a new economic model and a number of long-term challenges, such as an aging population, president Xi Jinping is eager to promote his emblematic Belt and Road Initiative (BRI) on the international scene – and then sell it back home. Hence his insistence on the BRI MoU signed by Beijing and Rome in late March, which was touted by Chinese media as a major diplomatic feat. The enlargement of 16+1 is yet another demonstration – or show-off – of the international acceptance of BRI, Xi’s pride and joy. Plamen Tonchev is Head of Asia Unit at the Athens-based Institute of International Economic Relations.